Ah, SUMMER! ☀️ Warm weather season is just around the corner, are you ready and geared up with the latest favorites? 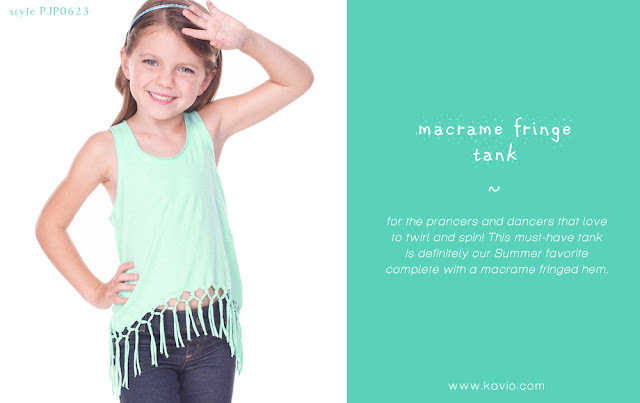 We've got some of the cutest tanks this year that's got everyone raving about! This year we absolutely ADORE our 2016 Summer Collection. 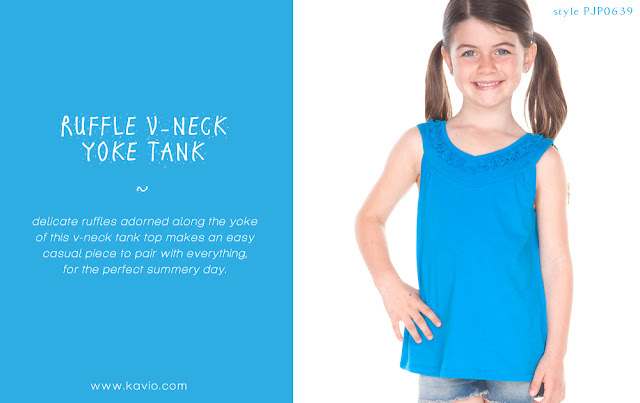 New styles featured in our favorite beachy bright colors, it just spells fun and refreshing! With a vibrant variety, we just love it when it's coupled with detailed elements that makes it extra sweet ❤️. Definitely FAR from just the ordinary, we've got looks from fringy fun, ruffled necklines and knoted-back nautical styles that makes the perfect Summer break, vay-cay ready, resort style / theme park wear!! Super HOT and popular, if you haven't gotten the chance to review, here's some of our faves from our staff and customers this summer season! Also, another NEW style you may REALLY want to look out for... We're bringing in Unisex Tanks! As you may already know, Kavio! 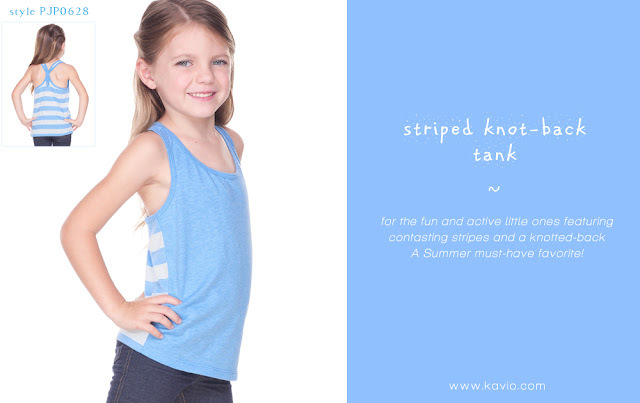 is primarily known for some of the cutest and stylish blanks on the market for young girls, women, toddler, youth and infants (designed more for the edgey little fashion-divas). But on occasions we do get a high demand for unisex blanks!